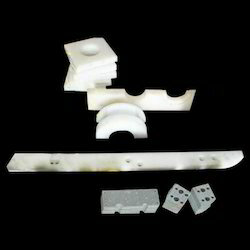 Our range of products include cnc aluminum anodized parts, aluminum turned parts, precision turned parts, stainless steel turned components, aluminium pulleys and 5 axis machining parts. 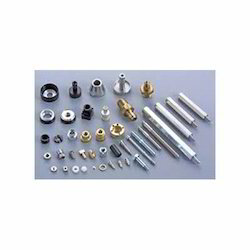 With a precise understanding of this relevant industry, we are counted as top most firm of premium quality Aluminum Turned Parts which are used in several electric gadgets as well as home appliances. These are acclaimed for their high tensile strength, robustness and corrosion resistance. Following the requirements of clients, we offer these in various range and dimensions. We can avail this product at very reasonable price rates. 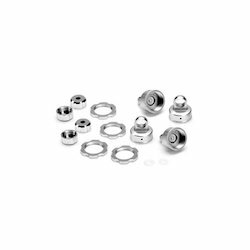 Being a leader in the industry, we are engaged in offering a qualitative range of Precision Turned Parts which is used as components for mechanical equipment and devices in different industries. Our offered product is manufactured using high quality raw material and advance technology under the guidance of our skilled professionals. Our turned parts are rigorously checked on different parameters such as tolerance capacity, toughness, design accuracy and many more. 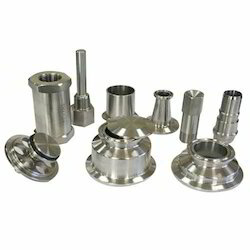 We offer a comprehensive assortment of Stainless Steel Turned Components. We are providing these products to patrons at nominal costs. The offered components are manufactured utilizing the best grade stainless steel under the guidance of our expert professionals. Offered part is much-admired by our esteemed clients for its precise design and accurate dimension. 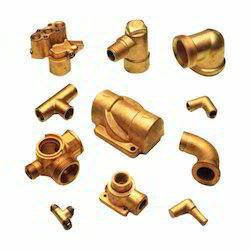 Further, clients can avail this part from us at most affordable price. 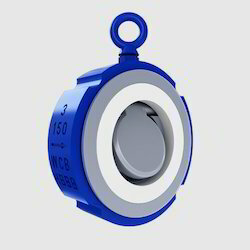 Aluminium Pulley which is manufactured in varied sizes ensuring best performance Aluminium Pulley. 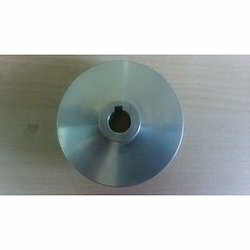 This Aluminium Pulley are fabricated with either crown face, bare face and rubber and are lagged with herringbone grooves. 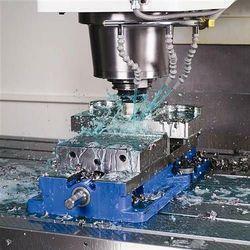 It is fitted with Renishaw Inspection System - Allied has configured this system on the machine itself. It will inspect components with probe software, eliminating the human element. We provide Chevron Packing and Seals, designed specifically for sealing of rods, pistons and plungers in hydraulic cylinders and hydraulic presses. 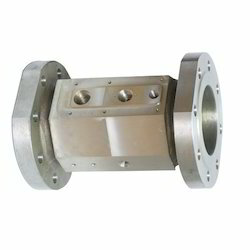 Owing to their excellent sealing capabilities, these find wide application in high pressure pumps. Chevron Packing and Seals manufactured by us are trusted for their distinct features of durability and air tightening. 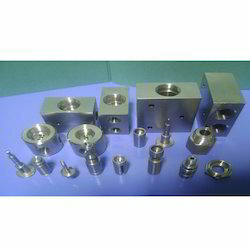 Precision Products manufacturing Precision Turned Parts in India. By the years of experience and broad vision of its dedicated and enthusiastic executives and managerial staff, the company could achieve its own name in the industries of Turned Component worldwide. 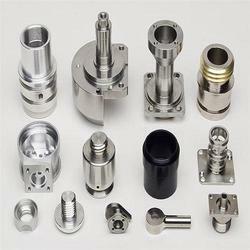 Due to investment in modern manufacturing technology, quality accuracy, measuring testing equipments and R D facility company has successfully developed precision turned components for the industries related to automobile sector, electronic and electrical, Tele communication, instrumentation, plastic moulding sector etc. 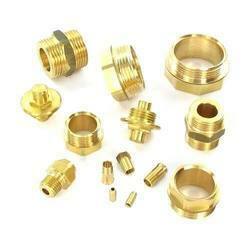 Free Cutting Brass IS 319 Type I or BS 249 Type I.
Circumference Diameter 1mm to 200mm with length of 300mm. 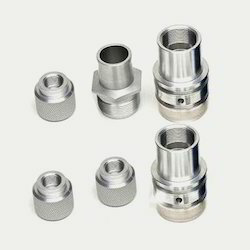 Apart from standard Precision Turned Components, we develop customize Precision Turned Components as per technical drawing or other relevant data. Backed by a team of experienced and skilled professionals, we are involved in the manufacture, trade and supply of Aluminium Turned Parts. Manufactured with the help of advance and latest technology, the proposed assemblage is highly acclaimed for its ease of assembling, tough construction and longer service life. Before the final transmission, we conduct multiple checks on the proposed assemblage. With the extensive knowledge and experience in this respective domain, we are engaged in manufacturing and supplying the best quality assortment of Steel Turned Parts. Used in handles, marine parts, engine parts, cooking utensils, medical devices and in hospital instruments. The offered range of UHMW Machined Parts is available in different length and colors to meet specific requirements of our clients. Our products are widely acclaimed and appreciated for their high durability, non-sticky nature and longer functional life. The entire range is fabricated using using high-grade raw material, which ensure quality approved finished products. Our quality controlling tests these products on various parameters to ensure their quality in compliance with national and international industrial standards. 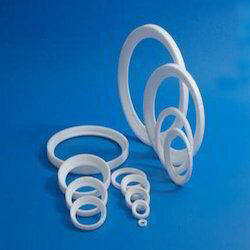 We offer optimum quality Virgin PTFE Components to our valuable customers. Manufactured from high grade PTFE, the offered products are known for their excellent electrical and flexural properties. The quality controllers rigorously check these products on various parameters to ensure a defect free range. Driven by an intense desire to attain maximum customer satisfaction, our logistic partners assure effective, safe, and timely delivery of the offered products. We are engaged in Industrial supplies can offer wide range of Forgings, Forging Parts Supplies from ready stock or on make to order basis are currently supplying to UK, Iran(Tehran), Saudi Arabia, Spain, Bahrain, Nigeria, Dubai, Egypt, Malaysia, etc. various steel products such as Angles, Channels, Beams, Billets, Blooms, Round Bars, Square Bars, Rectangular Bars, Flat Bars, Forged Bars, Rolled Bars, Concast Bars, Pipe Flanges, Elbow, Tee, Reducer, Cross, Stub End, End Caps, Forged Stampings, Pipes, Tube, Tubing, Fasteners, Bolts, Nuts, Washers, Screws, Studs, Plates, Sheets, Coil, etc. Specifications: Can offer Forgings, Forging Parts Supplies in normalized, annealed, spherodized annealed, quenched (hardened) tempered condition with black or bright (peeled or proof machined) finish. Client can avail Forgings, Forging Parts Supplies of diameter sizes ranging between 4mm upto 2500mm for flat bars thickness ranging from 0.1mm upto 500mm depending on material grades technical specifications which can be used for manufacturing of fasteners, hollow bars, forged seamless ring, forged flanges, tube pipe fittings, bolts, screws, round hexagonal nuts, washer, forging components, dies, etc. 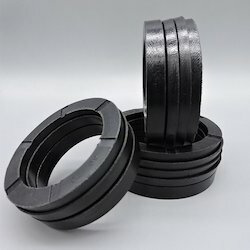 We stock, supply, export, wholesale Forgings, Forging Parts Supplies which are used in applications of Bridges, Engineering, Construction, Oil Field, Offshore, Shipbuilding, Nuclear Projects, Marine Projects, Medical, Instrumentation, Furniture, Boiler, Heat Exchangers, University student projects, etc. 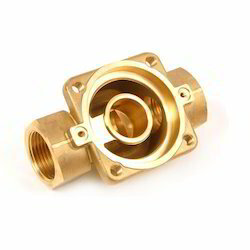 Being one of the reckoned enterprises in the market, we are highly affianced in offering an optimal class gamut of Brass Forging to our patrons. These are highly accredited in the market for its optimal finish. In addition, our crew of quality supervisors inspects on pre-defined restriction of quality so as to offer flaw free range. We have mastered the critical process of forging Aluminium Forgings at the right temperatures. We welcome your inquiries along with drawings to enable us to serve you better. Note: We are a manufacturing service provider. SO we make parts as per customer drawings. We have a fully equipped forge shop with forging machines, cutting and trimming presses, lathes, drilling machines etc. We are able to get excellent quality results through indigenous developed techniques. 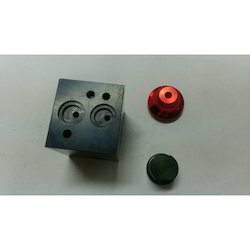 Looking for CNC Turned Parts ?